Year 5 have been eager participants in the SMILE Challenge Project. This is an organisation that gives groups £20 to spend with the objective to create and event which brings happiness to the community and make someone smile! A secondary objective is one of legacy; can this idea be repeated with a longer lasting benefit to the community? If the looks on these faces is anything to go by, we will repeat this wonderful idea again in the future! 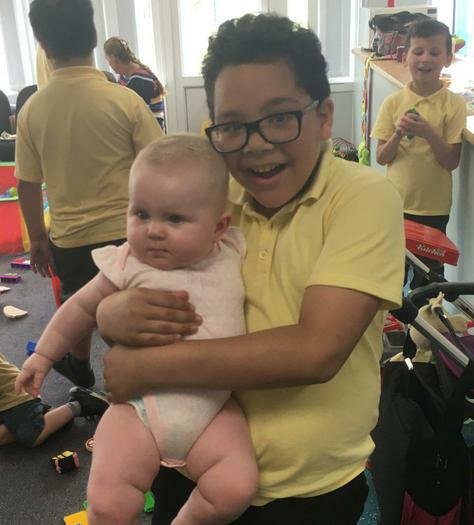 Year 5 though it would be lovely to help mums with young children and babies in the community, meet new friends as well as experiencing a fun filled afternoon at Netherton Moss’s Toddler group. 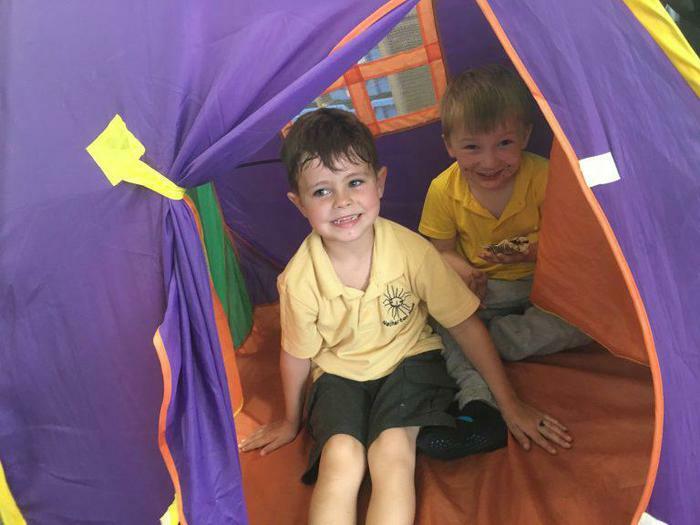 The children hoped this would have a lasting impact with mum’s in the area and it also developed their skills in organising an event for both adult’s and young children. 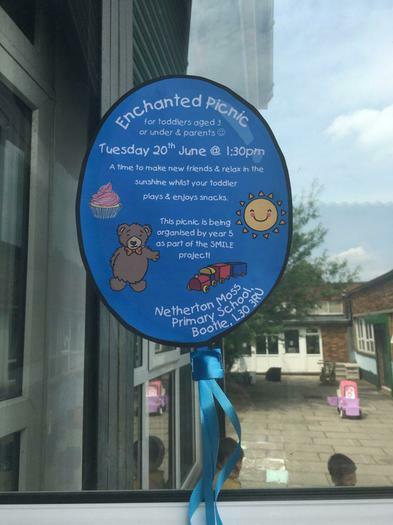 Initially, the children had wonderful plans for their Enchanted Picnic to be held outside, with streamers and fairy light in the trees, but as luck would have it, we were in the midst of the hottest heatwave in 40 years and we were worried it would be too hot for the babies. So we held it in the Parent’s Room which was good fun too! 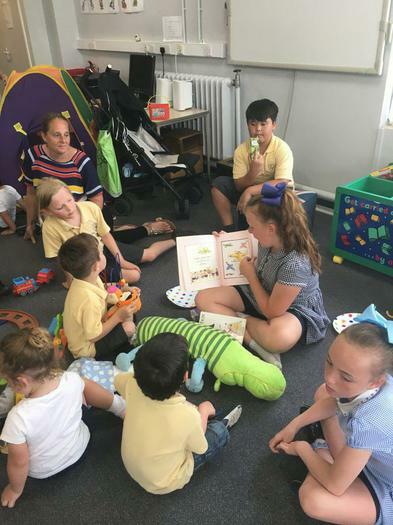 Prior to the event Year 5 researched questions and then interviewed some of the parent’s who already attend our School’s Toddler Group. 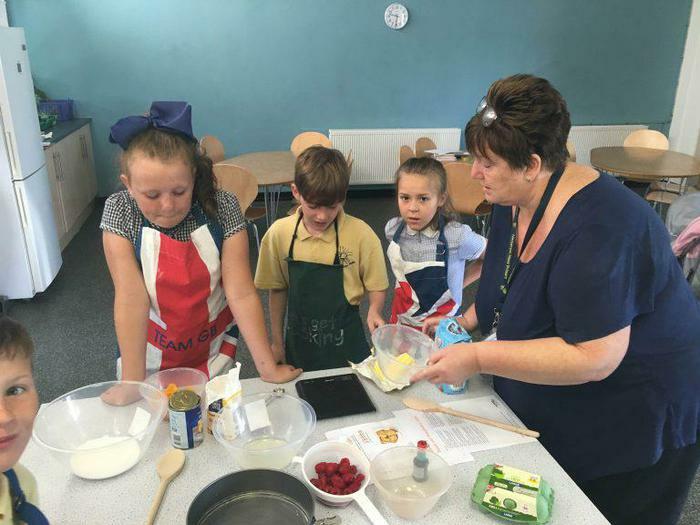 This helped them devise a suitable menu and appropriate activities for all concerned! They created their own invitations using this information to attract new visitors. On the day, a small group devised a shopping list with lovely goodies for small fingers and ingredients for their morning of baking fresh pastries and cakes for the event. 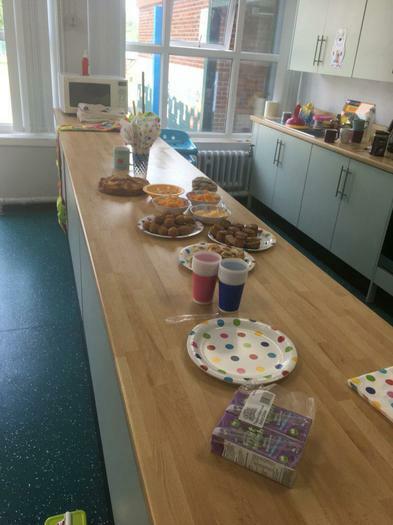 They spent most of the morning baking and preparing food and organising the Parent’s Room ready for their visitors. 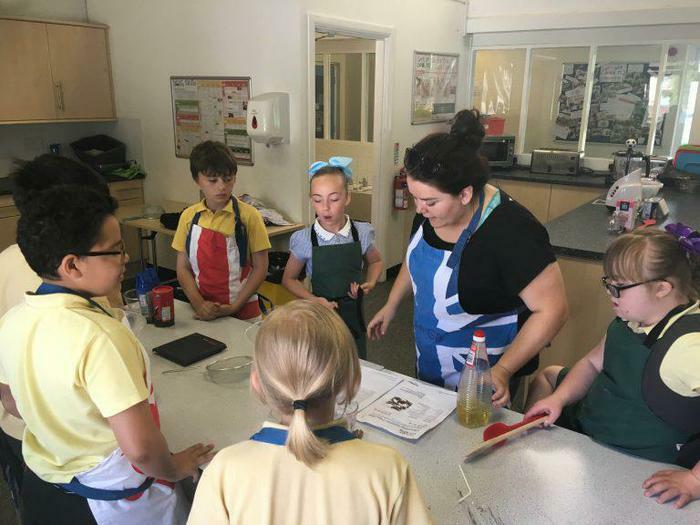 This was a fantastic opportunity for the children to develop an incredibly broad range of life skills through a pleasurable, considerate and community-based initiative. The whole afternoon was a great success! As well as our regular parents, a number of new faces from our community shared our wonderful, enchanted afternoon.